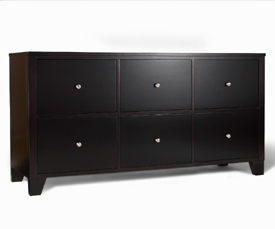 Below is a list some of the best contemporary chest we can find. Contemporary Chest called the "New signature 2.0 Cabinet"
Just came accross this very contemporary chest from the guys at iannone:sanderson. Note the bee, touch me a second to see it.. The chest stainless steel legs. Matte white interior with adjustable shelves. Sorry about the name of this but still looks cool "6 Drawer Dresser"